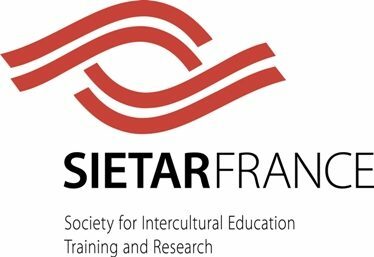 SIETAR was founded in the United States in 1974 by a few dedicated individuals to draw together professionals engaged in various forms of intercultural learning and engagement research and training. Originally called SITAR, the name was later changed to encompass education and the Society became SIETAR. Its goal was to provide a forum for exchanging ideas about training, theory, and research, and to learn from each other as well as to provide a place where interculturalists could strengthen their bonds with each other. They envisioned an exchange between people in different disciplines and professional activity that would strengthen the theoretical development and practice of intercultural communication. The Society rapidly grew beyond the borders of the United States attracting people from around the world who had similar concerns and interests and was named SIETAR International in 1982. SIETAR Japan was founded in 1985 to serve the interests of its international membership in Japan. SIETAR Indonesia was formed to promote intercultural work in that country. SIETAR USA was founded in 1999 to bring together intercultural specialists in the USA and from across the continent. Young SIETAR, formed in 1994, offers students and young professionals across the globe ways to share ideas and discuss issues of interest. In 1999, it was decided to disband the International organization and create a global network of regional, national and local societies that would focus on enlarging the work of SIETAR within the boundaries of their communities and cultures while linking with each other to ensure an international perspective. Work is in progress to establish the SIETAR Global Council, composed of representatives from established SIETAR organizations, whose objectives include encouraging the development of new SIETAR groups, coordinating and promoting cooperation among existing SIETAR organizations, and working together toward a wider acceptance of the principles and practices of intercultural communication. SIETAR Europa was founded in 1991 in an effort to establish closer links between interculturalists within the continent. Since then national organisations have been formed in Europe, and today SIETAR Europa is, on the one hand, an umbrella organisation for the European SIETARs, and, on the other, unites intercultural academics and practitioners who live in countries without a national organisation. by Albert R. Wight, Ph.D.
Vous trouverez dans les pages ci-dessous une présentation des activités les plus marquantes de SIETAR-France des années 1994 à 2017. Nous vous souhaitons bonne lecture.